You’re not in the best financial situation, but you don’t know what to do to turn it around. Unfortunately, in school, they don’t teach you personal money management tips that you can use to save up and ensure you won’t be in debt throughout your life. Thankfully, you’ve come to the right place to begin your financial education. No matter what age you are or where you’re at in your life, you can reverse your financial standing and move forward. It all begins with taking a few simple steps and learning money management 101. Take the following actions to get your money in order and feel better about your financial situation now and in the future. The first thing you must do when trying to save money is to come up with a budget you’ll follow. Creating and following your monthly budget is one of the basic money management skills that are essential for building financial stability. If you don’t want to work off your own document in Word or Excel, then download an app like Personal Capital or Mint, where you can plug in all your credit card information. These apps will show you where your money is going and give you money management 101 tips. When you’re determining your budget, figure and calculate out how much money you and your partner (if you have one) make per month and all the expenses you have, including bills and debt. Then, the next step is to decide where your spending will go. Your best bet is the 50/30/20 rule, where you spend 50% of after-tax dollars on necessities, 30% on wants, and at least 30% on repaying your debts and saving. 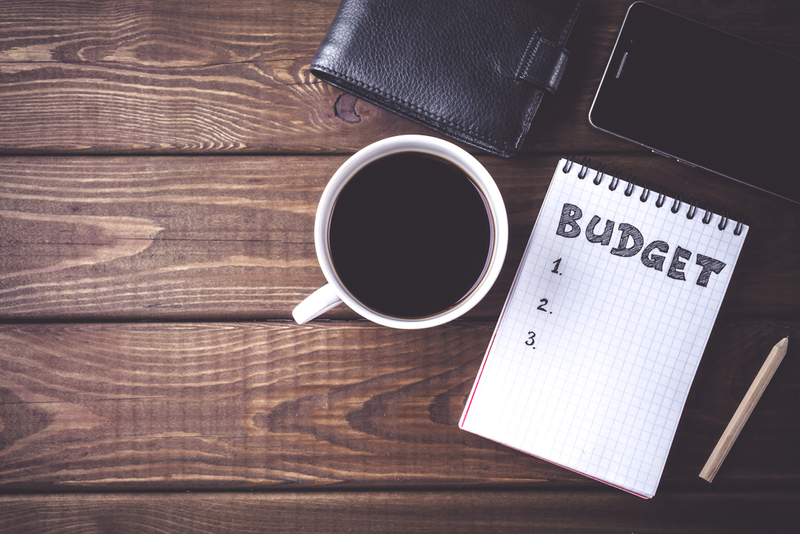 If you are feeling overwhelmed by coming up with a budget, go to a trusted family member or friend, visit a financial planner to help build a financial plan, or take a class at a local community college to figure out how to make the process less intimidating. Credit card interest can eat up a lot of your money, especially if you’re only making the minimum payments every month. This can get in the way of saving up money. Credit card interest and debt can also have a negative impact on your credit score, which won’t serve you well when you’re trying to take out loans or secure a mortgage. A top personal money management tip when it comes to credit cards is to only spend what you have in your bank account and can afford. Using your credit card as a debit card (which is typically tied to a checking account), is a good habit to keep. So try not to make purchases on credit that you wouldn‘t make with your debit card. That way, you’re building up your credit score without taking on any debt. If you only make minimum payments, it’s going to take you a lot longer to pay off your cards and you’re going to end up paying much more. Let’s say you’re $10,000 in debt and have an 18% interest rate. If you pay off the minimum, or 2%, every month, it’ll take you 40 years to fully pay it off. During that time, you’re losing all that money you could be saving. If you’re struggling to pay off your debts, use the snowball method and start small. This entails paying off the smallest debts, and then the next smallest debts, and on and on until you conquer your credit card with the highest balance. Psychologically, it’s going to get you motivated to keep paying off your credit cards and building your score. Another basic money management tip is to keep an eye on your credit report. Check it frequently to ensure it’s accurate and makes sense. Personal finance can be tricky and if you see it dipping below a number you’re comfortable with, consult with a financial planner or credit expert about why this could be happening. A list of personal money management tips would not be complete without advice on saving money. At all times, you need to have at least $1,000 in a savings account – preferably one with high interest – that you can use in case there is an emergency. This is commonly referred to as an emergency fund. It’s best to have at least six months worth of savings in the event that you (or your partner) experiences an emergency, loses a job, switches careers, etc. Having that safety net is critical to your financial health. You should be saving 10-12% of your personal income and putting it into investments of your choice, whether it’s a 401(k) mutual fund, a high-yield savings accounts, stocks, bonds, etc. You should be looking out for high-interest investments that are not risky. Learning money management 101 is important today because you’re going to benefit from all that compound interest in the future. The stock market yields a 10% average annual return, for instance, which can add up over many years and provide you with a lot in savings for your retirement. Research each type of investment and decide which one is the best for you and your risk tolerance. Don’t forget to contribute to your employer-sponsored 401(k) retirement account, which may have a matching option. If you don’t sign up for that, you’re wasting free money that your employer could be contributing towards your retirement savings. When you were 18, you signed up for student loans to help you pay for college. No one taught you personal money management tips back then, so you didn’t know what you were getting yourself into. Now, the high interest is killing you, and you know you won’t be able to pay off your loans at least for another 10 years. Unfortunately, student loan debt cannot be discharged through bankruptcy, so you do have to pay them back. However, you can try to negotiate a lower interest rate with your loan provider or see if you qualify for forgiveness by working in public service. A spending plan can also help to budget where, and how much of the money you are earning will go. This is something a financial planner can support as well. You also may just need a higher paying job. If you need to go back to school to gain more skills that will help you snag that higher paying job, then fill out the FAFSA to see if you qualify for government assistance with paying for college. Another option is to look into inexpensive community colleges, public schools, and trade schools instead of going for the private institution, which is always more expensive. In college, you don’t learn money management 101, but that doesn’t mean that you can’t get back on track right now and ensure you’ll have a bright financial future. One of the important personal money management tips is to comb through your bills and debit/credit card charges and see where you can cut back on your spending. For instance, maybe you’re paying too much for your phone bill or your internet service, or you haven’t cut out cable yet. Perhaps you can get a roommate to share your living space with you or you can bike to work instead of driving. Have you tried Uber Pool instead of regular Uber? Do you use coupons at the grocery store? Are you buying books or going to the library? Can you replace your costly light bulbs with more energy efficient ones? Can you survive with a ceiling fan instead of running the air conditioning? Could you pack your lunch as opposed to eating out every day? Could you make coffee at home and give up your Starbucks habit? There are so many areas of your life that you could be saving money. It all starts with going through your daily routine and your bills and seeing what financial hacks you can make to improve your situation. That’s just basic money management. You may be following all the personal money management tips, but you’re not getting anywhere. You need to change your attitude towards money. Instead of looking at it in a negative way or as a burden, think of it as a way to propel your life forward and build real wealth. To shift your attitude, don’t blame yourself for your past mistakes, because you didn’t know basic money management before now. Also, don’t look at other people’s financial situations and feel jealous, because from the outside they may look great, but they could be in crippling debt. You don’t know what’s going on, so don’t feel bad if you see your friends going on vacation on Instagram or having amazing lives on Facebook. When you begin thinking negative thoughts about money, practice mindfulness and have a mantra you can repeat to yourself to calm yourself down. You can say things like, “I will be OK” or “I am in control,” and take a walk or go to a yoga class to clear your mind. One basic money management skill is to psychologically shift your attitude towards money, and taking these crucial steps is going to help you meet your financial goals. One of the personal money management tips you’ll hear from any financial advisor is to keep continuing your financial education. Spend at least a few hours every month reading literature and diving into what further steps you can take to build your wealth. A great way to do this is to sign up for Money Map Report, a newsletter that offers personal finance tips that is delivered to your inbox on a frequent basis. All you have to do is open an email and find out ways to improve your financial health from financial expert Keith Fitz-Gerald. He will teach you how he became so successful and offer you specific savings and investment tips you can put into use today. If you’re ready to get your bank account in order and guarantee you will be financially secure for the rest of your life, sign up for Money Map Report today. This entry was posted in Money Map Report and tagged basic money management, basic money management skills, money management 101, personal money management tips. Bookmark the permalink. What is PSV* Money Map Report?